I give the front door a push with my hip as I turn the key in the old lock. The door opens with a pop, the dried paint coming unstuck from the door jam. I stop for a moment and look into the front hall, empty, just as we had found it when we first moved in, when I was pregnant with Mila. The emotions from eight years earlier came rushing over me. The excitement of actually owning our first house. The charm of the 1930s high ceilings, curved moldings, large old windows with imperfect glass. The cracks on the walls, the space between the pine floorboards where cool air came up from the crawl space below, the tiny bedrooms that barely fit a queen bed. But it was ours and we were moving in just as we expected to have our first child. Time has passed and now I walk through the same front door with tears streaming down my cheeks. Today is our last day to breathe in the memories we created in this old house. The house where Mila and Azlan came home to when they were born. Where they took their first steps and spoke their first words. 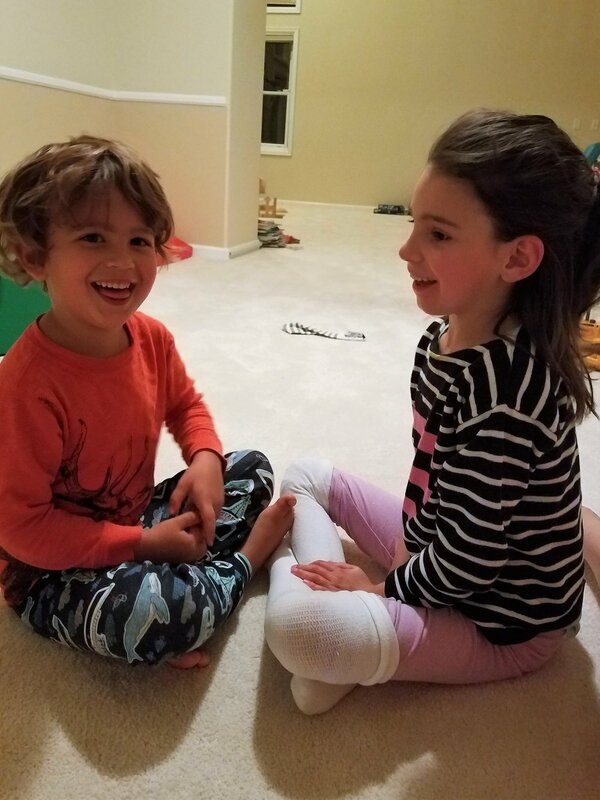 Two years ago, we decided living in downtown Boulder no longer made sense for our family given that Mila’s needs were changing. We yearned for quiet, for more open space for Mila to move around the house, for the views and sounds of nature that so naturally calm us. Riding bikes around town as a family wasn’t in the cards for us any more so we gave that up for a more rural, peaceful setting. The trails and swimming lake by our new house allowed us to spend our free time nearby without having to get in our car, something that was becoming harder for Mila. But we always dreamed of holding onto our cozy old house and renting it until we decided to move back in. But with our family's new reality, we realized we needed to simplify our life, and concentrate on today, not tomorrow. So we put our house up for sale, and then my focus switched to taking care of Mila and Azlan. I never found the time to reflect on what it meant to lose this house so packed full of memories... until now, on the eve of saying goodbye to it forever. I decided to come to the house alone, one last time. To make peace with the fact that we would not bring our kids up in this home like we had imagined. 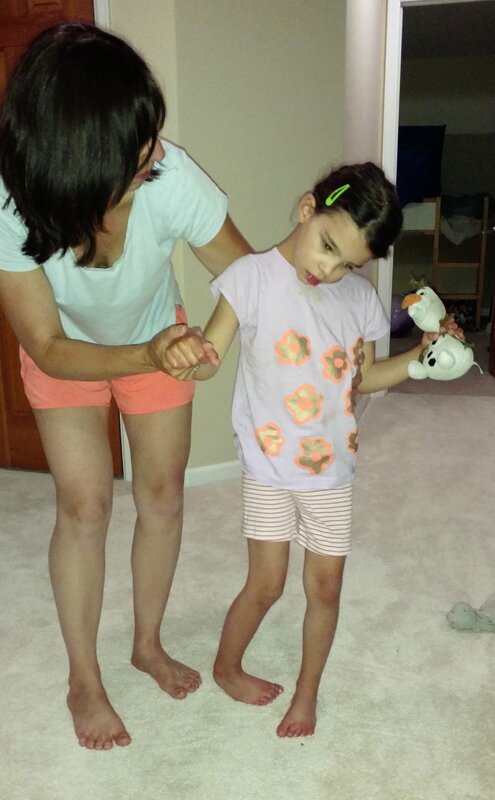 Since Mila’s diagnosis of Batten Disease, material items have little meaning to me. It’s the emotions, adventures and memories that really matter. But today I’m struggling with accepting this and saying goodbye to the house that holds the best memories of my life. I walk through the tiny front hall surrounded in old glass windows, through the french doors and into the living room. I smile as I cry remembering little Mila scooting along the fireplace before she learned to walk, and how she use to climb up onto her little toy kitchen and sit on the very top, beaming with pride as she turned to make sure we noticed her accomplishment. I remembered our first Christmas in this house, cradling little newborn Mila in my arms as I danced around the tree in the back corner of the room. I walked through the empty living room and into what was our TV room. I laughed to myself thinking of Mila attentively watching Plushenko skate in the Olympics on the big screen above her and trying to mimic his moves. She twirled around the room, dropping her head and lifting her leg high, then sitting on the wood floor she spun around and around. Extending off the TV room was the kids' small playroom, surrounded in glass windows with sunlight streaming in. I remembered Mila standing behind her little grocery store in the corner of the playroom, tapping on a plastic cash register and selling vegetables to tiny Azlan who stood facing her with an orange purse over his shoulder. I climbed the steep stairs and stepped onto the landing. I thought back to when I stubbed my toe at the top and dropped to the floor in pain. Before I knew it, my 9-month-old little girl had scooted across the floor, climbed up on my lap and kissed me on the cheek. My pain disappeared. In that moment, Mila transformed in my mind from an infant to a little person. Her innate empathy and wide smile gave me a glimpse of who my Mila would become. I moved into the nursery that was Mila’s and then Azlan’s. I use to run in and out of the room making a new animal sound each time. The kids would jump up and down in the crib, laughing uncontrollably. Two owls sat on a tree hovering above Mila's bed. She would peel each branch decal off the wall, and I would stick it back on. The game continued until only half the tree remained. I walked next door to my and Alek’s room, with the big glass doors that opened onto our deck. I closed my eyes and remembered the kids splashing in their blue plastic pool on hot summer days. And before bed, we would cuddle up on the couch and say goodnight to the trees and the squirrels, the mountains and the moon. I made my way around the house, taking time to stop in each room and allow myself to travel back in time and remember not just the images, but the emotions that followed. Every little corner of our home held a beautiful memory. When I passed the doorway to our kitchen my heart stopped. On the left side of the door jam were black marks showing Mila’s height at each birthday - one, two, three, four, and five. On the right side were the marks for Azlan - one and two. I ran my hands over the lines. I dropped my head and squeezed my wet eyes tightly closed. The painter would be coming in a few hours to add a fresh coat of paint and cover up the lines that represented the best years of my life. Just three months after we moved out, Mila was diagnosed and our lives changed forever. The house may have looked empty to a passer by, but through my eyes it was full, full of the memories that keep me going every day. When I walked into the house that day, I expected only tears and sadness. But when I left, I felt lighter. Reliving these moments made me cry, but it also brought smiles, even laughter, as I thought back to each one. I didn’t have to leave them behind like I had feared. I let these memories fill the house, one by one, until they piled into the rooms and pushed up on the roof. I brought this home so full of memories with me as I closed the door behind me, one last time.